Windows are the most important part of a house. Sound crazy? Well, it must be true when you consider what we sacrifice to have them. After all, windows are where we lose most of our energy dollars, where we’re most susceptible to intruders, and where we first limit the privacy guaranteed by our own homes. That’s why we shouldn’t settle for windows that don’t meet our needs. But how do we know when that’s the case? 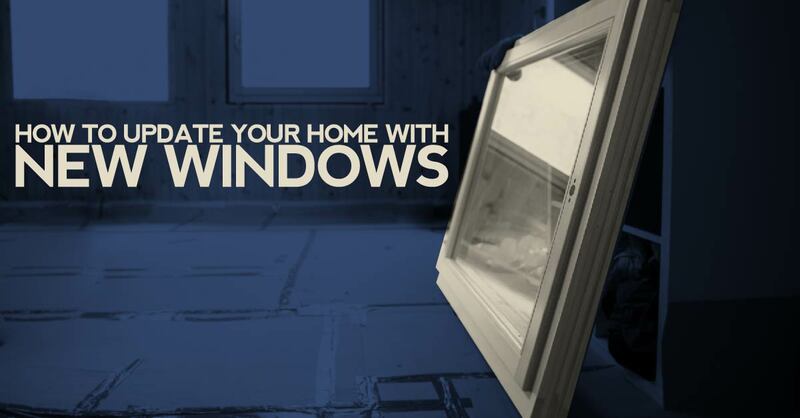 Fortunately, there are several signs for when it’s time to replace your windows. Window damage isn’t always as obvious as a pile of shattered glass on your carpet. A common form of window damage you might not notice is warping. Time and the environment take their toll on windows, causing them to bow, kink, or twist. Tough to open windows, or windows tough to keep open, likely have a warp. Warped windows leak damaging moisture into your house while letting your expensive climate-controlled air out. Drafts and condensation are other signs of warped windows in need of replacement. Why is my energy bill high? Are you paying more to heat and cool your house? Does your AC or furnace constantly run despite typical weather? If so, this could signal your windows need replacement. Even if your windows aren’t damaged, they could still be costing you enough to make replacing them worth the investment. According to the PennState College of Earth and Mineral Science, clear single-pane windows can cost you hundreds of dollars extra per year in heating and cooling costs. Windows effect how we feel about our homes. They frame the outside world for our viewing pleasure, and they play a crucial role in defining the aesthetic of our house, inside and out. Updating your windows updates your home’s overall style and compliments your interior decoration. Just as today’s windows are made to better protect us from the elements, they’re also made to better fit our individual tastes. Today’s windows are diverse in both style and materials. Do you have cracked, warped, or drafty windows? Are you unhappy with how your windows compliment your home? If so, your next step is to talk with a qualified window installation professional. They’ll offer guidance on how to meet your energy, security, and aesthetic needs. To learn more about how window replacement benefits you, please contact us at Millers for a free consultation.